Please send me more information on Baja Outback Land Adventures! Blending a passion for the outdoors with a thirst for exploration, Baja Outback offers participants the chance to challenge desert and beachfront terrain in style, and to learn about the surrounding area through specialized tours of southern Baja's most fascinating sites. Communication linking vehicles allows a trained guide to narrate aspects of Baja's flora, fauna, culture and history. Precision off-road Jeep Wagoneer driving guides will also be standing by on each tour to offer tips on navigating the desert back roads. All Jeep Wagoneers are outfitted with state rental plates, allowing participants to take the wheel and taste the adventure firsthand. 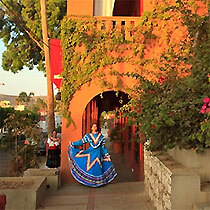 The Magic of Todos Santos is a charming artist's retreat with galleries, quaint shops, gourmet restaurants and cafes. The real adventure takes place as we start the off-road portion of the tour driving through the heart of the mountains. Small towns have been established throughout the area and we will have the chance to stop in some of these villages and visit with some of the local residents. Local crafts are available at some of the stops and small denomination currency is suggested to have on hand. Get to know the locals and perhaps see them working on their farms or creating their crafts for sale. View their homes and appreciate the tranquility of their every day life in their natural surroundings. This tour is approximately 7 hours in length (pick up time 8:00am) and runs Wednesdays & Fridays. Lunch at La Coronela Restaurant, snacks and beverages included. Turtle Release tours are a wildlife conservation program in which participants can adopt a baby turtle and help release it into the ocean. Participants will not only help in the preservation of the species, but they will also learn about the turtles and their habitat. 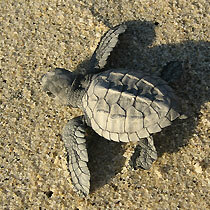 Meet our certified guide in the nursery camp and choose one turtle for adoption. Prepare to release your turtles into the wild as the nests are liberated and watch first hand as they start their new life in the ocean. 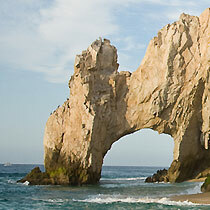 A Taste of Los Cabos Experience the best of both towns on this fabulous introduction to Cabo - your chosen destination. Get to know San José and Cabo San Lucas in just one day, right at the start of your holidays so that you can make the most of your stay. Discover the highlights that both towns can offer you and you’ll find yourself going back again and again throughout your stay. The Glass Bottom Boat ride includes a visit to the famous Arch, the Sea Lion Colony and the age old rock formations at Land’s End. Learn more about our famous tequila, the process of the Blue Agave and enjoy free tequila sample. Enjoy some free time in San Jose for a little shopping. A kaleidoscope of Culture, Shopping, Sightseeing and History all rolled into one. Not to be missed! This tour is approximately 6 hours in length (Mon-Wed-Sat) and includes a Certified Guide, round trip transportation, lunch at a restaurant (beverages not included), bottled water and time for shopping in both towns. Tour departs at 9am.